SolveForce.com has immediately introduced commercial cable bundles within their service packages. 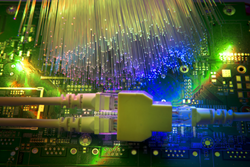 SolveForce has compiled new commercial cable bundle services to offer throughout the US. These are set for immediate roll-out. Here are the many features & benefits of utilizing commercial cable bundles (http://www.solveforce.com/) and/or business cable bundled services. Voice mail, call forwarding and other popular calling features. Help customers find the company with website management and hosting tools. Protect business data with 20 GB of Secure Online Backup. Be more productive with productivity tools such as Microsoft Office® 365. A single mailbox gives access to both wireless and Voice messages. Technicians install the equipment and verify that services are up and running. Enjoy multiple features that help manage inbound and outbound calls. Use an easy, self-service website. Manage features, make changes to the service, and run reports from any Internet connection. Call SolveForce.com at 888-765-8301 to receive a quote for commercial cable bundle (http://www.solveforce.com/services) services. Live representatives are standing by.